Are you looking for the best hiking trails in America? If so, you have come to the right place. After hiking through numerous trails all across the country, we have compiled what we believe to be the six absolute best hiking trails to visit in America. Whether you are an experienced hiker looking to take on the toughest challenges inside the United States or you are a beginner who wants an easy trail to hike that offers astounding beauty and memorable experience, we have a suggestion for you. Be sure to keep in mind the type of trail you want to hike. If you want an easier trail that does not require great physical endurance, then consider a trail such as the Trans Catalina Trail, which is more appropriate for beginners. For experienced hikers who want more of a challenge, consider trails such as the Longs Peak Keyhole Route - a favorite 14er in Colorado. Be sure to find the trail that is most appropriate for you, prepare yourself properly and take action by scheduling a time for your next hiking adventure. Mount Katahdin offers numerous trails that are truly breathtaking. If you do not mind the rigorous climb Mount Katahdin often requires, then you are going to love the magnificent views and unbelievable experience a hike there offers. While there are several different routes you can take, the Katahdin Loop Trail is hands down one of the best hiking trails on the mountain and in America as a whole. The Katahdin Loop Trail is, however, a steep climb, so it is essential to prepare yourself with appropriate hiking boots and climbing equipment, and it may not be the best route for someone with little experience. The Katahdin Loop Trail is in Baxter State Park, which is in the town of Millinocket, Maine. The route passes through the Knife Edge, which is famously known as a tough hike, although one that offers astounding beauty and memorable experience for anyone who chooses to take on the challenge. The Katahdin Loop Trail is intended for intermediate to advanced hikers who have good physical endurance. There are other trails on Mount Katahdin that offer an easier experience, but the Katahdin Loop Trail requires you to prepare beforehand and equip yourself with the best hiking gear possible. With that said, it is hard to find a hiking trail in the United States that is as exciting as the Katahdin Loop Trail. The entire trip offers fantastic scenery, and the reward of making it to the top of Mount Katahdin makes every drop of sweat worth it. In total, the hike should take approximately 10-12 hours, so be sure to start your trek as early as possible. If you go during the late spring and early summer months the weather is ideal for a strenuous hike. It is not too cold in the morning and the evenings typically do not involve too much heat. Be sure to check the forecast before heading out to ensure you adequately prepare in case there is a chance of rain. WInd is frequent in the area as well. The entire hike only takes a day, so there is not a need for lodging along the route. There are a variety of quality lodging accommodations around Baxter State Park, and finding a place to stay with or without a reservation usually is not an issue. The hike of the Knife Edge is not far from a technical climb, so you need to prepare for more than just walking. It is essential to be in peak physical condition and it is encouraged to go with others for support and safety when taking on the great challenge of Mount Katahdin. The Katahdin Loop Trail offers magnificent beauty and is certain to leave you with lifelong memories. Be sure to remember the camera as you are going to want to capture the various breathtaking views and moments you experience along the way to the top of Mount Katahdin. Half Dome is the most prestigious hiking trail in Yosemite, and it offers an experience that is hard to find anywhere else in the world. Although the trail can make for a tough hike, it is well worth it for those who are in good physical condition and willing to endure a long, uphill trek. The Half Dome offers astounding beauty at every turn, and you pass through some of the most well-regarded views in the United States, including the Vernal Fall, Nevada Fall and Liberty Cap. Hiking Yosemite is a must for hikers who want to experience the best, and the Half Dome is a great route to take while there. The best trailhead to start your hike is Happy Isles, which is along the Mist Trail. The trail exists along the east end of Yosemite Valley. You can take a shuttle to your starting point upon arriving at Yosemite. Half Dome offers one of the most scenic hiking experiences in all of the United States, and words do not do its astounding beauty justice. While pictures give you a sense of what the trip is like, being there is an entirely different experience and one you do not want to miss out on. There are difficult parts of the trail to hike, but much of the trail is easy to climb, and the difficult sections of Half Dome - such as the climb to the summit - are made more accessible through steel cables and wooden planks that are in place during the summer months. Yosemite can be cold and covered with snow during the winter, so it is best to wait until the weather warms up to take your trip. Although the park is open for the majority of the year, Half Dome may even close during the colder months. Be sure to check the weather and prepare accordingly. Outside of Yosemite are numerous lodging options to consider. However, Half Dome - along with Yosemite National Park as a whole - can be quite busy during the late spring and summer months, so it may be best to obtain a reservation before making the trip there. Most of Yosemite's hiking trails do not require a hiking permit, but Half Dome is very popular and often sees a lot of traffic and it is essential to obtain a permit before starting your journey. Also, keep in mind that Half Dome can be a strenuous hike, especially for anyone who may not be in great shape. If you are looking for the most beautiful and scenic hiking trail in America, then the Half Dome may be the first one on this list you should try. Although the trek to the summit can be steep, the extra effort is completely worth it. There are numerous landmarks along the route that is likely to leave you completely speechless. The Smoky Mountains are a part of the Appalachian Trail, and it is known for the incredible views a hike there offers. There may not be a better route to take in the Smoky Mountains than the Charles Bunion Hiking Trail, which is an incredibly peaceful trail that consists of beautiful wildflowers, fantastic views overlooking the mountains and colorful treetops. The Charles Bunion Hiking Trail may offer the most natural experience of any hiking trail in America. If you value the natural beauty of a hiking trail and enjoy beautiful views overlooking magnificent mountains, then this is the hike for you. The trailhead begins at Newfound Gap, which is located outside of Gatlinburg and off of Newfound Gap Road. It is near the center of the Great Smoky Mountains National Park. Parking usually is not an issue, and the trail - while popular - usually is not overcrowded. The Charles Bunion Hiking Trail is one of the best hiking trails in America in large part due to the beautiful views it offers. Like many trails in the Smoky Mountains, it can be a challenging hike, but most do not have too many issues with fatigue. The trail offers a peaceful experience, but it can be quite popular during the summer months. If you are looking for solitude along the route, be sure to start your journey early in the morning or wait until early fall to make your trip. While winter hikes may be possible, the best experience is between May and September. The weather is usually not much of an issue as Tennessee is comfortable during the summer months. The weather stays warm enough to still hike late in the fall and the earliest days of spring. The trail can be steep at certain points, however, so be sure to wear waterproof shoes with excellent traction if the path is wet. The Charles Bunion Hiking Trail is a day hike, so there are not any lodging accommodations along the route. For those who plan to come from far away, there are several good hotel options close by. The Smoky Mountains are a popular tourist destination for hikers, however, so a reservation may be in order. One of the aspects that sets the Charles Bunion Hiking Trail apart from all others is the magnificent wildflowers. For wildflower enthusiasts, it is best to visit during the warmer months as the trail offers the most natural beauty during this time. Every serious hiker should experience the Appalachian Trail at some point. There may not be a better and more authentic way to find out what the Appalachian Trail is all about than hiking the Charles Bunion Hiking Trail, located in the Smoky Mountains in Tennessee. The Longs Peak Keyhole Route is not a route for beginners, and it may not even be a good idea for many with hiking experience to try their hand at Longs Peak. Perhaps the term hike is misleading as many sections of the route require climbing. It is intended for expert hikers who are looking for a tough challenge. With that said, any hiker who is willing and able to take on the difficult challenge the Longs Peak Keyhole Route presents is rewarded by an amazing life-changing experience. There is nothing more powerful than being at the top of a mountain over 14,000 feet in the air, and the Longs Peak Keyhole Route may be the best route for serious hikers looking for the best 14er. Longs Peak is inside of Rocky Mountain National Park, which is approximately 70 miles northwest of Denver. Rocky Mountain National Park is near the towns of Estes Park and Grand Lake. Longs Peak is arguably the most challenging hike on this review guide. It requires excellent stamina and preparation. It is essential to know the weather forecast as the mountain has an incredibly unpredictable climate. It is also necessary to prepare for the chance of altitude sickness. However, do not let the physical challenge of the Longs Peak Keyhole Route scare you away from making the trek. While we tried to avoid adding highly strenuous hikes to this list, the climb to the summit of Longs Peak is worth every second of the challenging trek, and there is nothing more rewarding than making it to the very top. The weather is very unpredictable. It is important to schedule your hike during the warmer months of the year, although cold weather can show up at random times during the summer as well. Perhaps the biggest threat to keep in mind is lightning and thunderstorms, which are constant on Longs Peak. There are plenty of lodging options surrounding the Rocky Mountain National Park. It is essential to try and stay close as the hike requires you to get a very early start. The average start time for the hike is around 3:00 a.m. It is imperative to invest in the proper hiking and climbing equipment before starting your journey. Be sure you have appropriate hiking boots, a backpack and plenty of water as dehydration is a risk during the trek. Be sure to check out our Angel Outdoors hiking gear to ensure you have what you need. Hiking Longs Peak is a significant accomplishment, and it separates the serious hikers from those who may not be in peak physical condition. Being able to say you hiked to the top of Longs Peak via the Keyhole Route carries a lot of weight, and the memories and stories are certain to stick with you for a lifetime. Cracker Lake Trail is a beautiful hiking trail that offers a background of mountain ranges and beautiful treetops at every turn. Once you reach Cracker Lake, you get to see stunningly beautiful light blue water like nothing you have ever seen before. While many of the other hiking trails can be strenuous and not ideal for those who want a simple hike, Cracker Lake is an easy hike that involves little elevation gain and takes less than eight hours. The route takes you through several different stages, including a trip through dense forests, across log bridges and finally to the beautiful mountain range view and right to Cracker Lake itself. Cracker Lake Trail is near Browning, Montana, a small town known for the Blackfeet Indian Reservation. The hike itself only takes between five and eight hours, so you should consider checking out many of the other attractions in the area, which offers excellent food and various recreational activities to take part in. The route to Cracker Lake is pretty effortless, and you can even travel their on horseback if desired. The first part of the trail takes you through a dense forest, but it quickly opens up after a few miles into a beautiful, open view of the mountains. The rest of the way is nothing but open space, scenic views and an easy trek to the lake. Once you arrive at Cracker Lake, prepare to be blown away by the magnificent beauty of the water, which offers a whitish-blue color that is unlike anything you can see elsewhere. The trail is out and back, so the trek back is effortless as well. The weather can be somewhat cold depending on the time of the year you go. If you do not mind the colder weather and want to go when the trail is less crowded, then the spring and fall are perhaps the best times. For warmer weather, schedule your trip during the summer months. Cracker Lake is a somewhat popular trail, and the towns around it are slightly small. Subsequently, you may need a reservation before visiting to ensure you do not run into headaches finding a place to lodge upon arrival. Bring your camera! Cracker Lake is one of the most scenic hiking trails in all of America, and you are going to want to capture each special moment. Also, you are likely to see horses along the route, and you can feel free to travel there on your horse for an even more comfortable hiking experience. The trail to Cracker Lake is one of the best hiking trails in America for those who want to experience the most amount of beauty without having to endure a difficult trek. The pictures of Cracker Lake are great, but the full experience can only be obtained by seeing the beauty for yourself in person. The Trans-Catalina Trail is different than the other hiking trails presented in this guide. Unlike the first five - which are day hikes - the Trans-Catalina Trail takes a minimum of two days to complete, which means camping is required. However, the trail is pretty easy to hike and there are plenty of campsites along the way. While southern California is not necessarily known as a premier hiking destination, the Trans-Catalina Trail is somewhat of a diamond in the rough, offering excellent beauty and a unique hiking experience that all serious hikers should try at least once. The Trans-Catalina Trail is near Avalon, California, which is the southernmost city of Los Angeles County and the only incorporated city Santa Catalina Island. Most take a ferry to Avalon to reach the Trans-Catalina Trailhead. If you love warm weather, a beautiful ocean view and hiking, then the Trans-Catalina Trail is the route for you. It offers a fantastic ocean view along the majority of the trail, although there are sections that go through the interior of the island as well. The trail is very easy to hike, although it is a very long trek. There are various places to stop and camp along the way. Be sure to bring the necessary camping and hiking equipment along with you and plan your trip. The weather is warm all year long in Avalon, California, so there is not a wrong time to plan your trip. If anything, it may be best to stay away from the prime summer months to avoid too much heat and busy crowds. If you do hike in the summer, it is best to start your trip early to avoid too much heat exposure as the trail does not offer much shade. If you want to hike the entire Trans-Catalina Trail, then you are going to have to camp at some point. There are plenty of campsites to stop at and rest along the way. The average trip takes 3-4 days, so be sure to prepare before heading out on your hiking adventure. Be sure to arrive a few days early or stay a few days after your hike of the Trans-Catalina trail and check out all of the other attractions that are close by. Whether you want to hit the public beach or catch a sports game in Los Angeles, you can turn your hiking adventure into an entire vacation trip. Whether you are on vacation in Southern California, live near the area or are just looking for a place to go hiking in warm weather, the Trans-Catalina Hiking Trail is a great way to get outside and experience one of the best hiking trails in America. Now that you know where to visit and the best time to visit each place, it is time to prepare for your next adventure. After you schedule your next trip, consider what all gear you are going to need to keep yourself safe and comfortable on the trip. While there may be more to bring with you, here are a few gear essentials to ensure you do not forget. 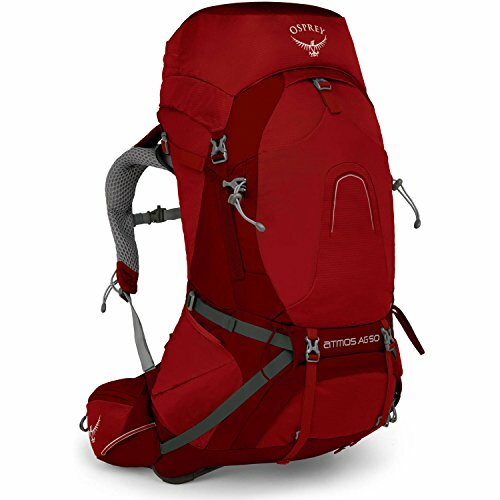 If you plan to go on backpacking adventures that require camping, then you are likely to need the appropriate camping gear as well. You are now ready to take on the most scenic and rewarding hiking trails in America, so take the steps towards making your next hiking journey today. Be sure to invite some friends and family members, decide upon the best location and ensure you do not miss out on these fantastic hiking trail opportunities here in the United States.